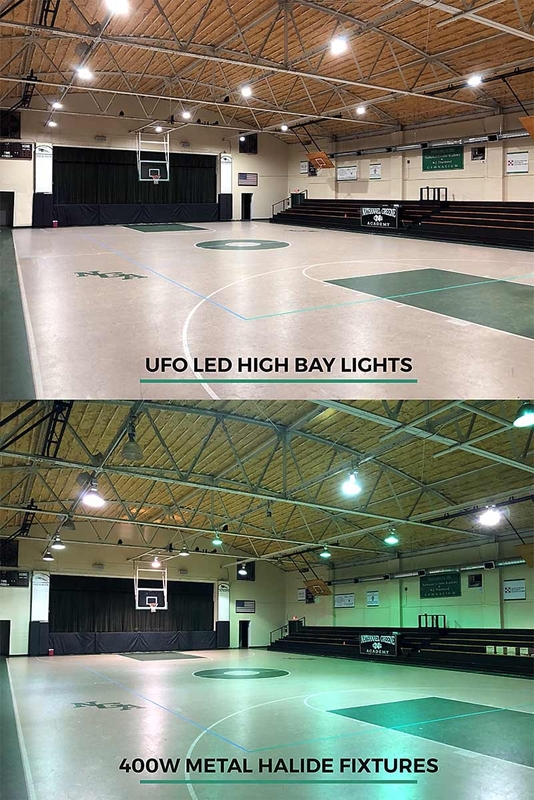 This UFO LED High-Bay Light features an integrated microwave motion sensor for energy-efficient performance. 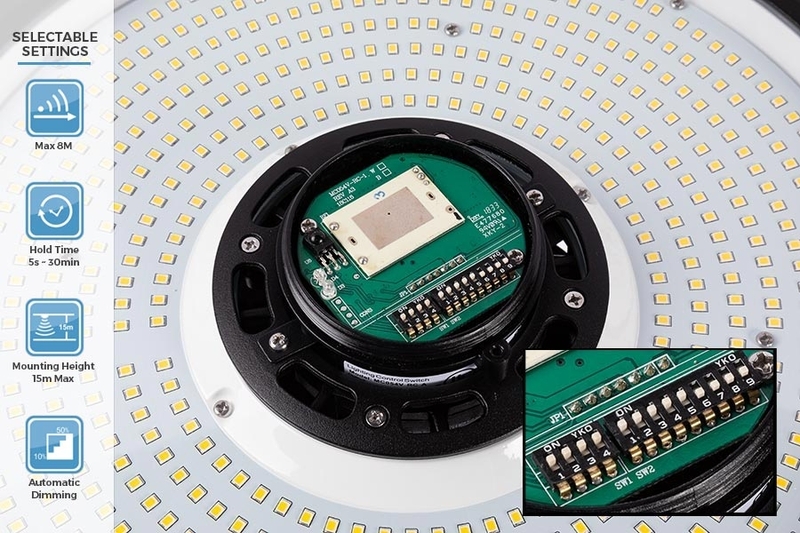 Use its DIP switches to customize detection range, daylight threshold, timer, and dimming settings. 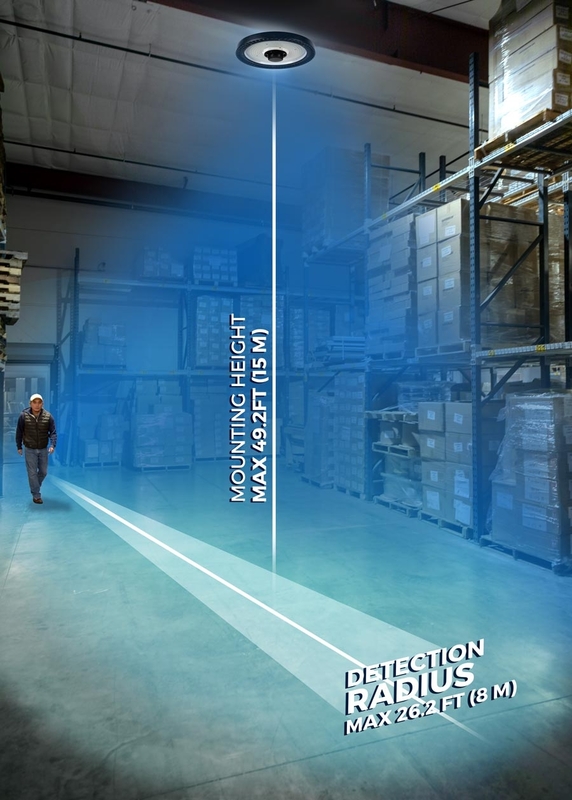 Motion sensor can be disabled. 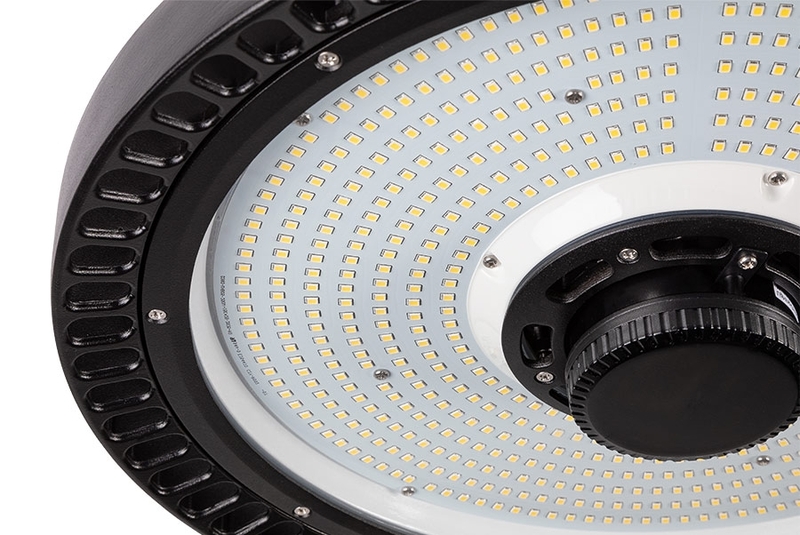 This fixture emits powerful cool white illumination equivalent to a 400-watt metal halide bulb. 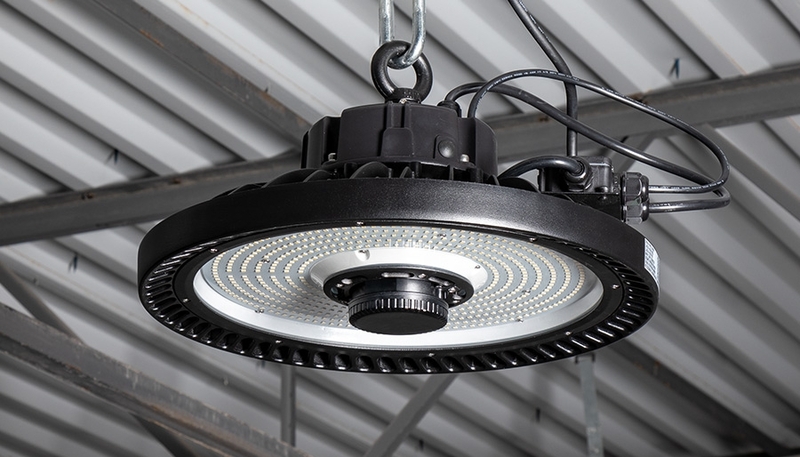 Long-lasting and durable, it slashes maintenance and replacement costs. 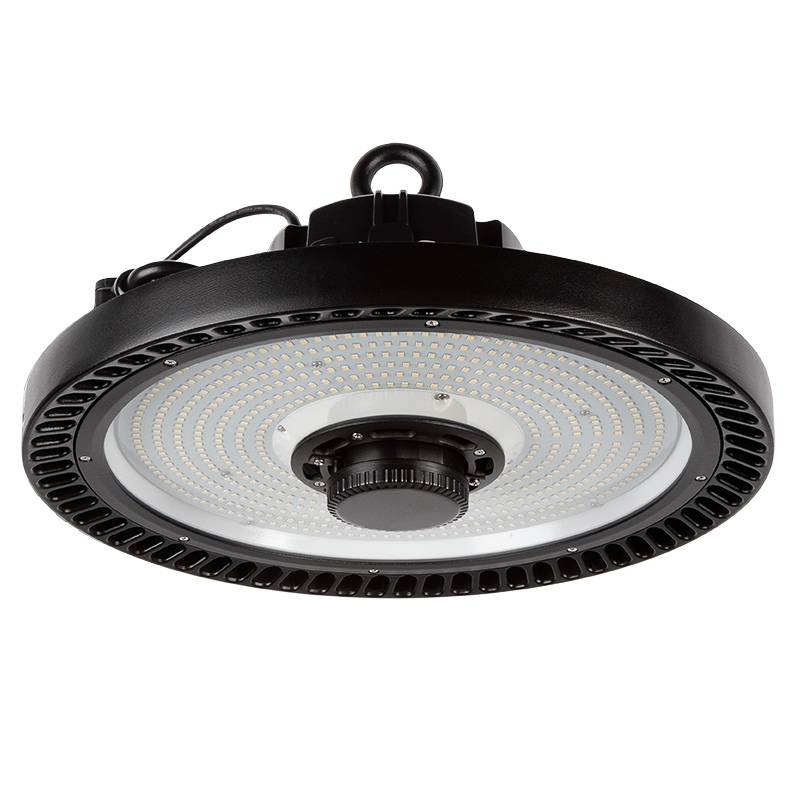 Weatherproof aluminum alloy housing with an integral LED-cooling heat sink. 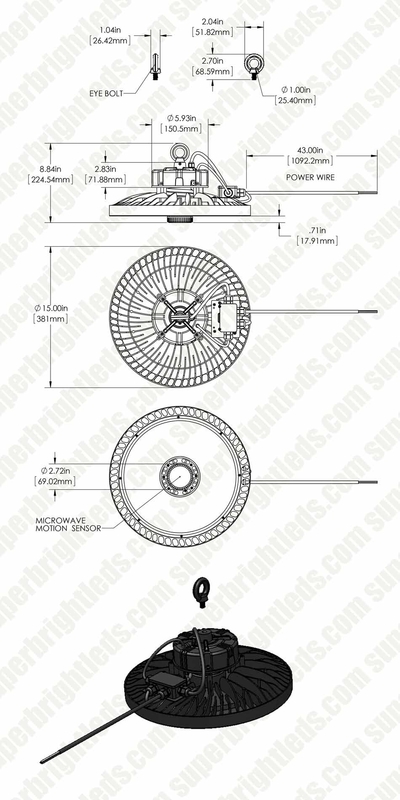 Use the included eye-hook for suspended ceiling mounting. 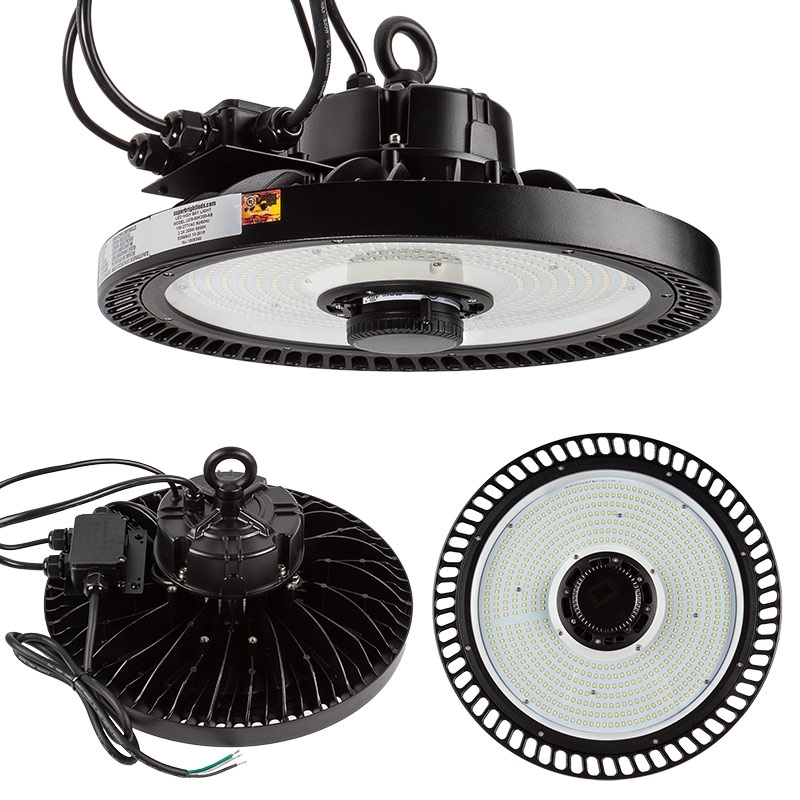 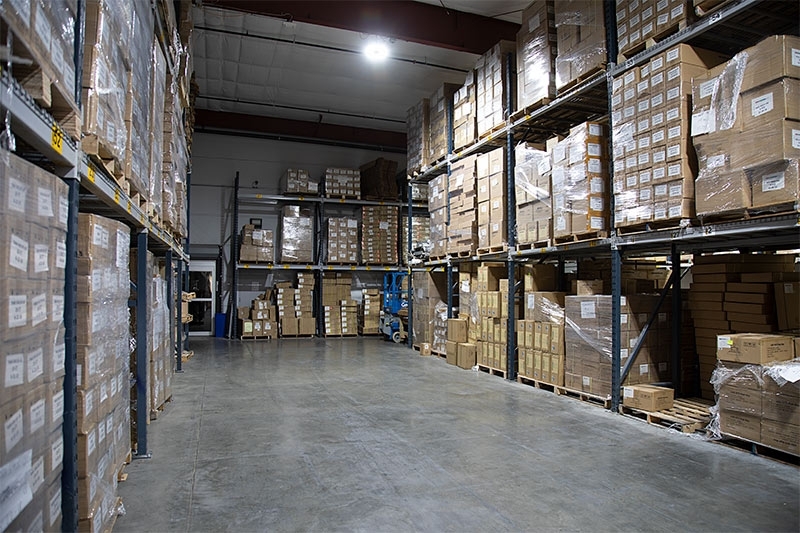 A top choice for retail, warehouse and factory, and convention center lighting.